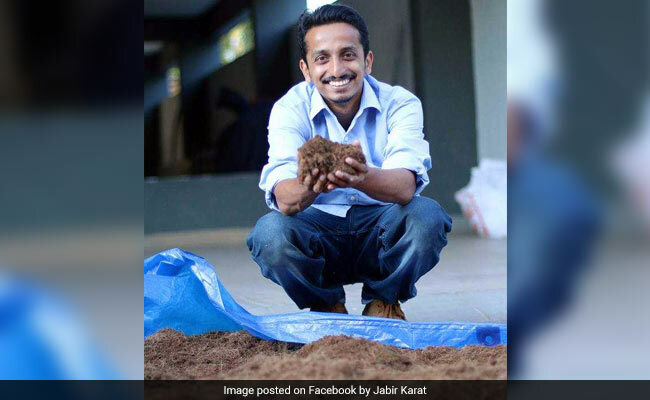 Jabir Karat's brainchild, Green Worms, right now, manages more than 200 metric tonnes of dry waste and more than 3,000 kilo gram food waste per month. New Delhi: "I am too a ragpicker, who collects waste from various places, segregate and sell it for recycler. GST has affected us very badly, nobody is giving us better price, all recyclers have reduced the scrap material price drastically," says a recent Facebook comment from 'social entrepreneur' Jabir Karat. Jabir has got his reasons to be worried about the changes GST caused in waste management industry. His brainchild, Green Worms, right now, manages 180 metric tons of municipal solid waste per month and generates employment for more than 50 people.​. 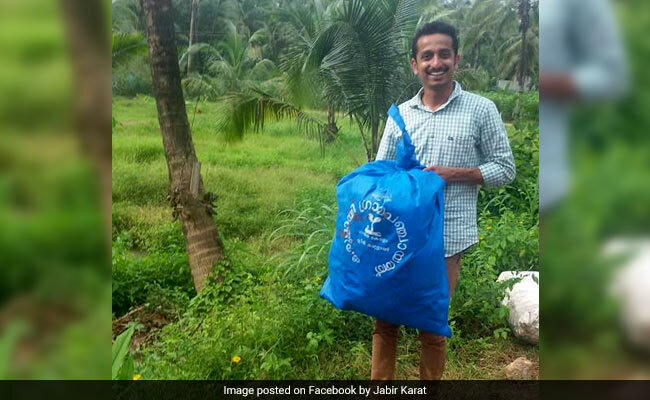 Jabir, a 27-year-old Delhi University post graduate, who wants him to be called as a 'social entrepreneur' is on mission to create Kerala waste free. Jabir launched his 'Green Worms' in 2014. "When I started Green Worms, waste collection and segregation was a job done by so the called marginalized scrap dealers and rag pickers. I was the first formally educated person who entered into this job which was a suprise to many," Jabir told NDTV. "Now there are many young people who are inspired from Green Worms' success, have started own enterprise and work with the support of green worms," he added. Jabir and his team organises waste literacy programmes in educational institutions and impart their experiences to children about the different types of waste, segregation, recycling, composting, etc. You may notice Green Worms presence in major events happening in Kozhokode and surrounding areas, where Jabir and his team engage with the 'zero waste' principle. Green Worms currently owns two plastic reprocessing facilities and 6 waste segregation facilities and they operates in four districts of northern part of Kerala, based at Kozhikode. His company, Greens Worms is now providing waste management services and advice on making surroundings waste free during such special occasions. The first step involves plan formulation to reduce the use of paper and plastic. Steel, ceramic plates and cups are made available for rent. Washing service team is also provided when necessary. The food wastes are segregated at source, collected in bins and is transported to resource recovery centre; food wastes are composted. Jabir Karat belongs to Puthuppadi in Kerala, nearly 45 km away from Kozhikode city. Son of a plantain leaf supplier to local eateries grew up an ordinary boy and completed high school at the government school next to his house. Jabir came to Delhi in 2007 to pursue his higher studies. Life in Delhi was a game changer for him and he participated in many environmental activities where he came across Sunderlal Bahuguna and his movements. He received Gandhi Fellowship provided by Kaivalya Education Foundation of New Delhi and opted to work in slums of Mumbai and where he interacted with slumlords, visited dumping yards and learned the other side of clean and green. Living in Mumbai gave him more in-depth knowledge of the environments we are putting up. The concept of garbage processing struck him at this point of time. "Fire in his belly fumed further", a profile of Jabir from his Green Worms portal says, "he visited Coimbatore and worked under Srinivasan as a 'post graduate ragpicker' on daily wages and 'touched the roots of dirt'." There he underwent training with the Environmental Protection and Service Organization led by Vellore Srinivasan near Coimbatore. Back home, initially he failed in establishing his new ideas. People of Thamarassery agreed to everything but were reluctant to pay a nominal fees for the waste management services offered. Because, it was easier to throw away. Jabir then focused on events like conferences, marriages etc introducing the "Zero Waste Events" concept. Now, his firm processes waste from several parts Kozhikode district and later recycle it for further use. 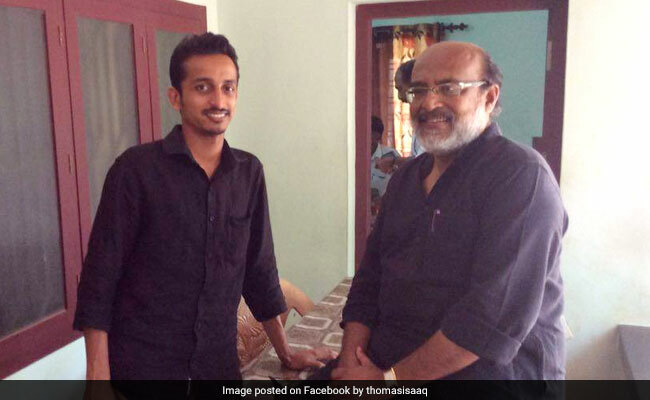 He is also a member of Kozhikode Corporation waste management committee.